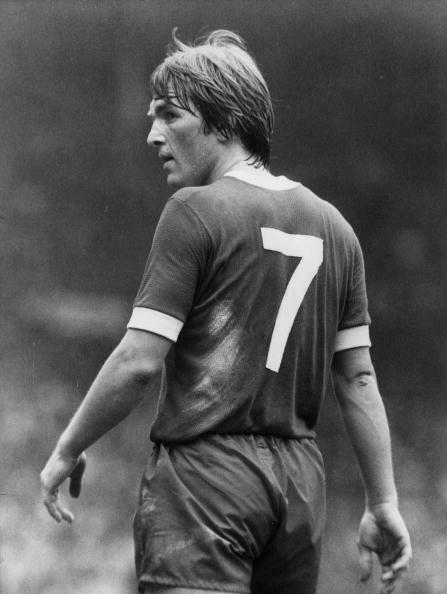 Today Kenny Dalglish turns 65. I can’t believe it. How did that happen? He has been part of our club for almost forty years, nearly all of my life. When I think of ‘The King’, it conjures up images of a bedroom wall plastered with posters of our number 7, of me standing in front of a junior school assembly and declaring that “Kenny Dalglish is cooler than the Fonz” (I got my education from The Kop) and of watching the man running towards supporters, arms outstretched, that joyous childlike grin lighting up his face, as we all go berserk. Some of us thought the club would never recover from the loss of Kevin Keegan in 1977. He was a superstar and one of Shankly’s boys to-boot. Then along came Kenny and we soon moved on. 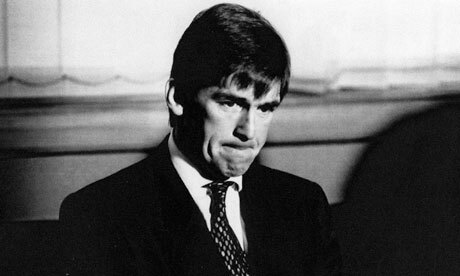 Dalglish’s achievements as a player alone would be enough to cement his place in any hall of fame. He won every medal on offer and treated us all to his sublime genius in the process. However, Kenny was always more than just a player. I believe that our greatest managers have been those who found a special connection with the city. Shankly once declared himself “made for Liverpool” and said Liverpool “was made for him”. The same is absolutely true of Kenny. He is sometimes, brooding, sarcastic and contrary and often witty, passionate and loyal. He is anti-establishment, irreverent and a fighter to the end. 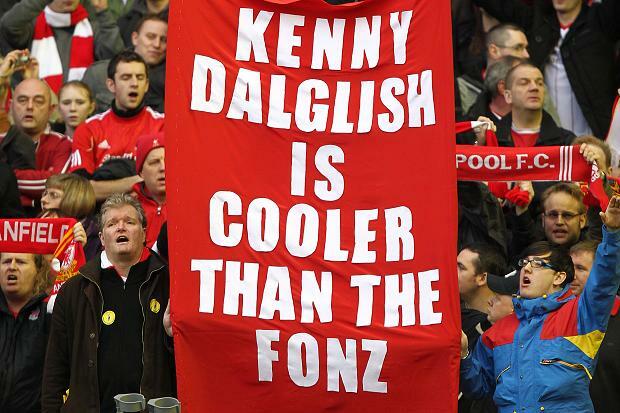 Frankly I can think of no man from outside Liverpool, who is more Scouse than Kenneth Mathieson Dalglish. When Joe Fagan decided enough is enough, after the Heysel stadium disaster, it was time for Kenny to answer the club and the city’s cry for help. He stepped up willingly and tragically it wouldn’t be the last time he would do so. I think people underestimate the job Dalglish did for Liverpool in the 80’s. The football club was on its knees. Banned from Europe and facing the loss of status, revenue and their star striker Ian Rush to Juventus. In the eyes of European and English football our reputation was lower than it had ever been. Of course this doesn’t come close to the pain and anguish experienced by 39 families in Italy, but it simply describes the context and task faced by Kenny when he took over the Anfield hot-seat. As he would go on to do, time and again throughout his life, Dalglish rose to the challenge before him and exceeded all expectations. As a player he had swept all before him, as a manager he would guide the club to three League Championships, two FA Cups, one Football League Super Cup and four Charity shields; in just six years. In 1989, the city of Liverpool was once again part of a terrible sporting tragedy. No football supporter should ever go to a game and not return home safely to their families. No football manager or player should ever have to attend 96 funerals. Their job is to lead a sporting team to glory, not counsel the grief stricken and wrap their arms around an entire city. Nevertheless that’s exactly how Kenny Dalglish and his first team squad responded; and they did so willingly. Never has the bond between the city of Liverpool, the football club and its supporters been as strong as it was back then. Kenny deserves enormous respect and admiration for shouldering that responsibility. As the 1980’s gave way to the 90’s Kenny’s powers of endurance were beginning to wane. It seems painfully obvious to me now, but I never really thought he was human back then. He was a god and as such, I thought he must have been invincible. Today, as I look at grainy black and white images of a man, clearly in the grip of depression, overloaded and struggling to fight back the tears as he publicly resigns as manager of Liverpool, a job he cherished; I can’t believe any of us were shocked at all. Of course he was just a man and the events of 1989 were always going to catch up with him. I just didn’t see it coming. Hillsborough robbed our city and our club of so much. Nothing compares to the terrible human cost, or the period of vilification that followed; but from a sporting perspective I can’t help but wonder what else Kenny might have achieved had he continued as our manager unencumbered by the burden of grief and post-traumatic stress. We will never know and in any case some things are far more important than football. Dalglish would need to leave Liverpool for a while. He would need some distance and perspective, time to recharge, but clearly the club and the people never left him. In 2012 he would once again answer the call. The club was again suffering, this time from the horrendous and ultimately failed ownership of Hicks and Gillett. Liverpool had sacked their European Cup winning manager, Rafa Benitez and installed Roy Hodgson; a man who had even less right to be anywhere near Liverpool Football Club, than the two Americans who nearly destroyed it. Supporters were in revolt and the new owners were unproven. The idea of silverware in this context seemed little more than a remote fantasy. Yet Kenny embraced the challenge gleefully. His beaming smile and declaration that he was “a very lucky boy” to be back, may have raised eyebrows among the media scrum, but it was music to all of our ears. His second tenure will be memorable for so many reasons, good and bad, but one image will linger with me forever. It is that of Kenny, stood on the touchline at Anfield, jacket zipped up to his chin and tears once more welling in his eyes. This time they are tears of joy. It’s the Carling Cup semi-final and his Liverpool team are about to dispatch Manchester City and reach yet another final at Wembley. He knew that this was the reason he returned, to bring joy to the supporters and give them another day out in the capital. It’s what the football club is all about, getting to finals and winning trophies. These were tears of relief, of happiness and of realising the dreams of hundreds of thousands, if not millions of people; just as he had always done before. Maybe I’m imagining things, how could I possibly know, but part of me wonders if on that night Kenny thought he was somehow atoning for leaving us in ’91. If he did, there was no need. When it comes to the relationship Kenny and this club have, he has always given more than he has taken in my view. He is now and will always be The King and he is still definitely cooler than the Fonz.